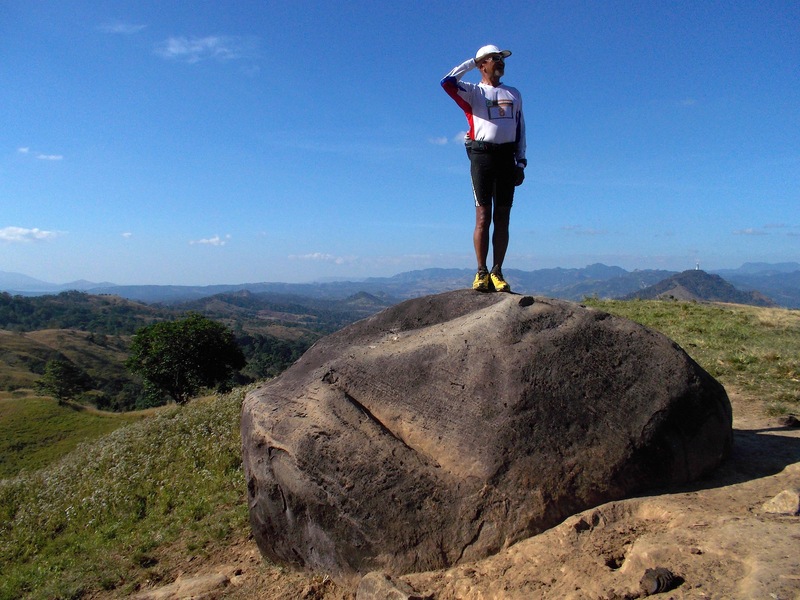 On the first day of the year 2014, I went out for my first trail run workout for the year. In the company of my running partner, Danin, we started our our run at 10:30 AM and it was hot and sunny but the quality of the air is very clean as there were no firecrackers in the mountains where I usually call my “playground”. The trail was very dry because of no rains for the past weeks in the area. There are parts of the trail that have loose soil that made my run softer and comfortable to my legs and knees. As soon as we reached some higher grounds, I could feel a cold wind that blows behind and in front of us. We did not feel the heat of the sun on the exposed portions of the hills and mountains due to the colder breeze that is coming from the sea and the neighboring vegetated areas. It was time also to visit the people who resides along the trails and greet them for the new year. Mang Mario, my friend who has a farm with mangoes and coconuts, was there in house and it is always the place where I would replenish my water supply and take a short rest or time to eat some of my trail foods. As we left his house, it is the start of the more challenging inclines of the course where we have to reach three peaks which forced us to do brisk/power hike to reach each peak. 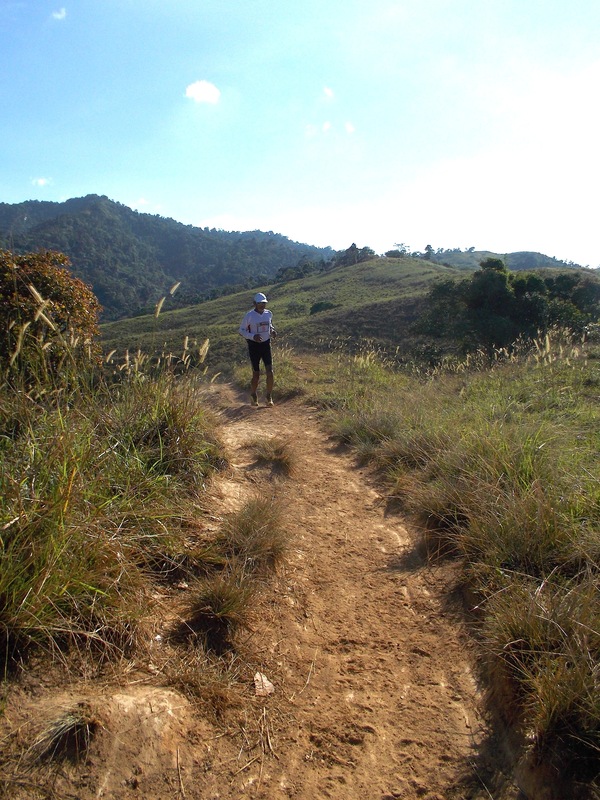 Once we reach each peak, we continue to jog on vegetated trails and try to watch out for snakes crossing our way. Sometimes, we would see a group of monkeys as we reached the edge of the forest on the nearby higher mountain. When we reached the highest point of the course, we had to eat our trail foods which consists of Chinese Tikoy and Croissant from Bread Talk. It was a brief break for us as we were trying to improve our running time to complete the course. Once we finished our snacks which served as our light lunch, we were on our way back to where we started. It seems the decline and flatter portions of the trail were very easy but the heat of the sun was taking its toll on us. We have to hydrate some more and continue to slog it out with smaller strides but consistent pace. Patience, Consistency in pace, Focus and Determination brought us back to the last stream/river we have to cross before we reached our Finish Line. After a few minutes, we reached the place where we started with an improved finish time. It was an improvement and faster by 5 minutes from the last recorded PR time that I had in this loop course and I was happy to have made an improvement and progress. 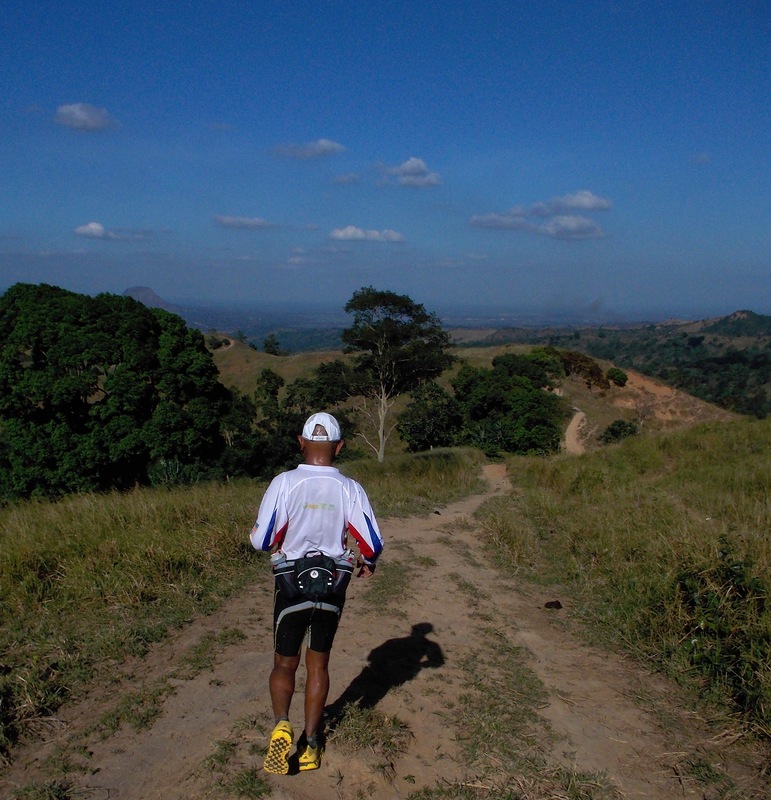 The loop course has a distance of 26.5 kilometers and we were able to finish it in 4:45 hours. A great improvement since we discovered this route in July last year where we were able to run, hike, and jog through it in 7 hours for the first time. The conclusion is that I am getting faster and stronger in trail running! So, lace up, get out of the door and run!